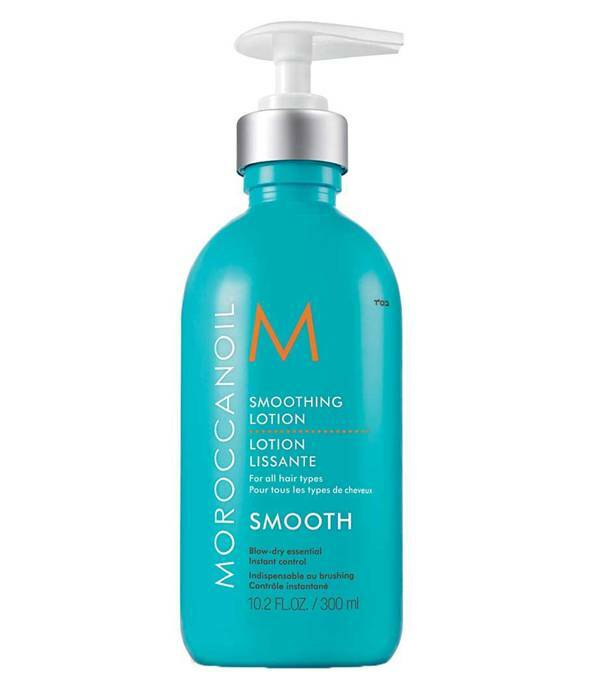 The Moroccanoil Smoothing Lotion is an All-in-One hair-lotion that lasting softness, shine and definition has long, with medium hold. The anti-frizz effect protects the hair from humidity and weathering. Nourishing argan oil, Arganbutter, vitamin E and essential fatty acids nourish the hair and ensure a supple, smooth and frisierwillige structure. Distribute 1-2 Pump doses to damp hair and blow-dry as usual. The amount used varies depending on the type of hair and hair length. 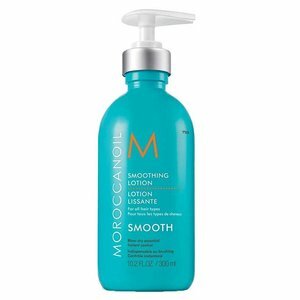 For frizzy and unruly hair Smoothing Lotion with the Moroccanoil Treatment for improved control can be combined with the blow drying. Tip: For a smooth look with a lot of volume simply mix a cocktail of 1-2 Pump doses Moroccanoil treatment, with 1-2 Smoothing Lotion Pump doses and a golfball amount volume foam, spread to damp hair and blow-dry as usual then.